So there we were, sitting in an old hay shed on a wet autumn day………. 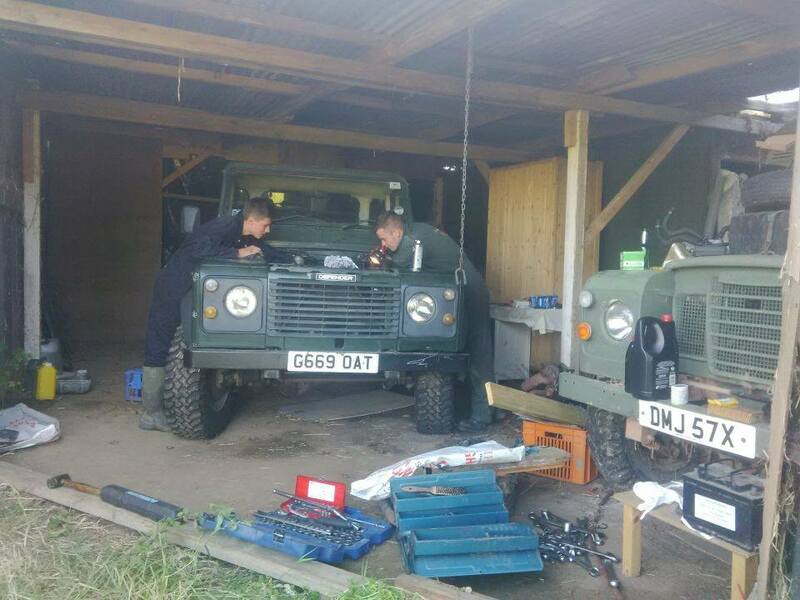 My friend had just purchased a Land Rover 90 with an early 2.5 diesel turbo engine, She’d turn over wonderfully, there’d be diesel up to the injectors, you name it, all the signs of life were there. Just something was missing, A BANG! So it was decided that we should whip the head off to investigate, to our horror, we discovered not one, not two, not three, but four cracked pistons! God knows what sort of life this truck cab must’ve had, but whoever let her overheat to cause this, did a proper job. The vehicle overall is quite a tidy machine, chassis is solid, had all new suspension bushes and shocks and a brand new set of modulars and Dakar remoulds. “Not bad for a bag of sand.” Said we. Upon further research it was clear as day that all 19J engines are more trouble than they’re worth. As they’re just a 2.5NA engine with a turbo bolted on, hence they run hotter and there’s much more pressure in the combustion chambers. This would most probably by why they’re prone to gripped liners, cracked pistons, head gaskets blowing, warped heads and in extreme cases they’ve been known to develop cracked blocks whilst warming up.